Book a Helicopter Pleasure flight for the perfect gift – or treat yourself! Book a helicopter flight today with SaxonAir. 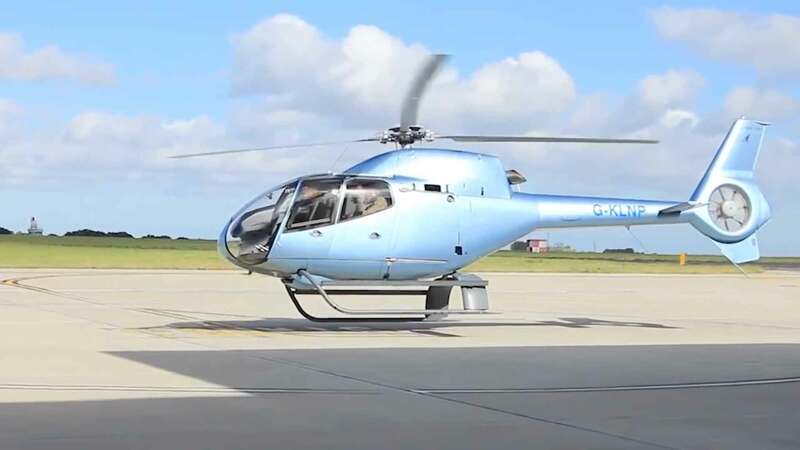 Our Eurocopter 120 is available to book for a 20 minute pleasure flight as a shared passenger, or for a longer trip you can book the entire helicopter and request your own flight plan! Experience the beauty of Norfolk from the skies. This is a chance to enjoy unparalleled views of landmarks like the Norfolk Broads from 1500 feet. Buying a helicopter flight voucher is the perfect gift for aircraft enthusiasts, or someone who just has everything! We also have exclusive offers on Heli-Dining, whisking you away to an exclusive venue for an unforgettable meal before flying you home. The ultimate in dining luxury! Our helicopters are also available for wedding hire – no chance of the bride being late as you arrive in style on your private helicopter.